Old-guard auto companies and new entrants from the tech world are no longer at odds in the race to build driverless cars. 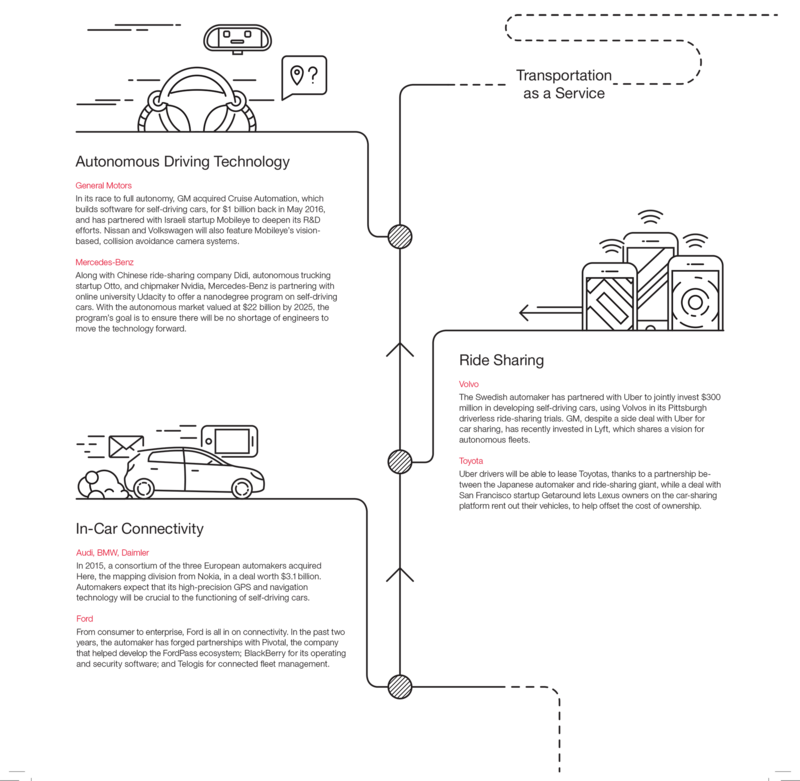 In this infographic, we spotlight several global automakers who are embracing their high-tech brethren. As both automakers and technology companies recognise that there’s little benefit to going it alone, it’s easy to perceive a future where the two industries converge.